Among the many reasons to take a raft trip through the Grand Canyon are the interesting flora and fauna one encounters along the way. We were privileged to have a close encounter with the Lizard Queen, a rare and exotic species who emerged near the end of the trip. Despite her fearsome image and reputation, the Queen was fascinated with the story. 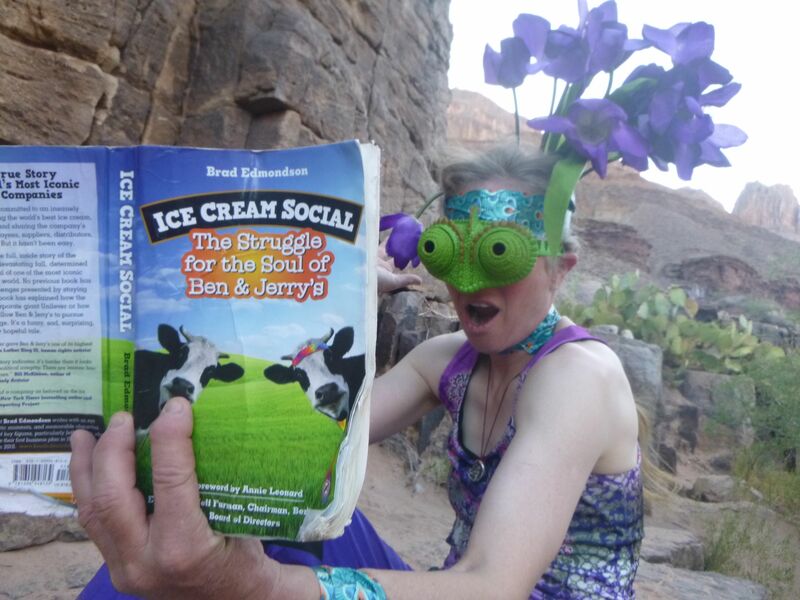 She pledged to spread the message of corporate social responsibility to all the Collared Lizards, Chuckwallas, and other reptiles who are her loyal subjects. The riveting true story of one of the world’s most iconic mission-driven companies. 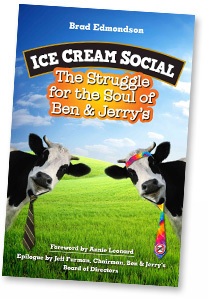 Get the Ice Cream Social email newsletter direct from author Brad Edmondson. Copyright © 2013 Brad Edmondson.